The application VeryPDF PDF to Word Converter allows you to convert the document of pdf to word file within four steps and you can also merge images to background in the conversion process for you to better edit the text in the target word document. This article aims at leading you to realize this task and if you want to know some information about this conversion, please read the following contents. You can download the application at http://www.verypdf.com/pdf2word/pdf2word.exe for free trial. You need to install it on your computer for further using. When double clicking the setup file, the installation wizard will pop up and you can follow the wizard to fulfill the installation steps. If you are interested in PDF to Word Converter which can also be called as PDF2Word and want to use all functions of it without any limitations, please buy it at the following purchasing webpage: http://www.verypdf.com/order_pdf2word.html. 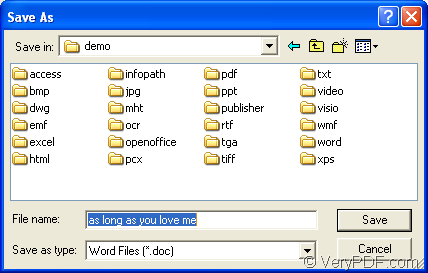 Now the conversion from pdf to word can be started at once. If there is an application icon on your desktop, you just need to double click it or right click it and click “Open” option in the dropdown list to open PDF2Word. You can also click “Start”—“All Programs”—“VeryPDF PDF2Word v3.0”—“PDF2Word v3.0” for opening the application. Then you will see the main window of PDF2Word on your screen. 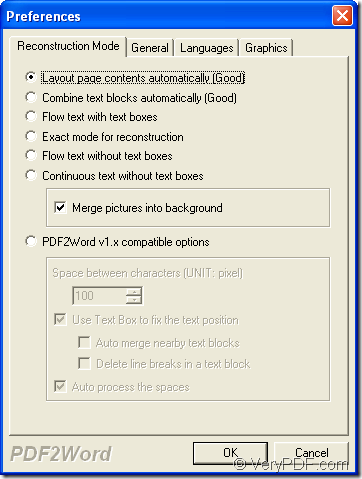 Please see Figure 1, you can use the methods it shows to add the pdf document into the application. The first one is to click “File”—“Open” to open “Open PDF Files” dialog box which allows you to select the to-be-converted-pdf document. The second one is to use the keyboard shortcuts “Ctrl”+ “F” to open the same dialog box. The most convenient way is to drag the pdf document and drop it into the interface of PDF2Word. In the popup “Preference” dialog box which is shown in Figure 2, please click “Reconstruction Mode” Tab in the Tab Control. After choosing any one of the mode from the six supported choice, please check “Merge pictures into background” option. If you still need to set other parameters, you can also make it in this dialog box. Then please click “OK” button to save the changes. 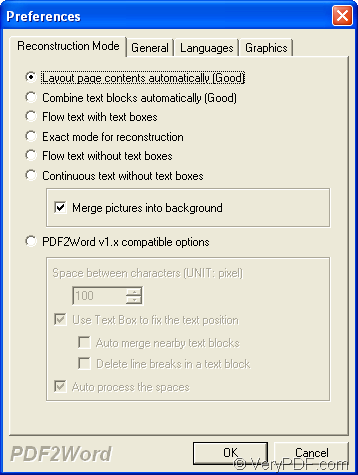 After you click on “OK” button in the third step, “Save as” dialog box which is for saving pdf to word will pop up. Please see it in Figure 3. In “Save in” dropdown list, you can choose the output location for the target file. 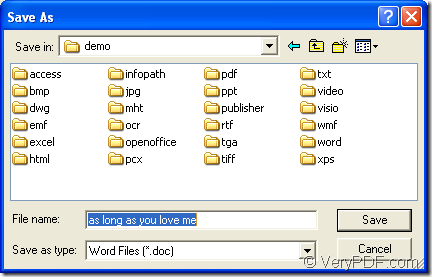 In “File name” edit box, please input the name of the result word document. Please choose “Word Files (*.doc)” as output format in “Save as type” dropdown list. Then please click “Save” button to save changes and run the conversion from pdf to word. When the conversion is running, you can see the progress bars which remind you the conversion progress in the interface of PDF2Word. You can also see some basic information about the input pdf document. How to convert PDF to Office file? This entry was posted in PDF to Word Converter and tagged merge images, PDF to Word. Bookmark the permalink.